I’m a little late for Garden Bloggers Bloom Day April. But I’m still having jet lag from a very extended vacation that took me to Italy and Israel. When I left, my garden was just beginning to show buds for the daffodils and my forsythia had sent out a few blooms. Now six weeks later, the forsythia is almost entirely spent and only a few isolated blooms remain, and the daffodils are waning. 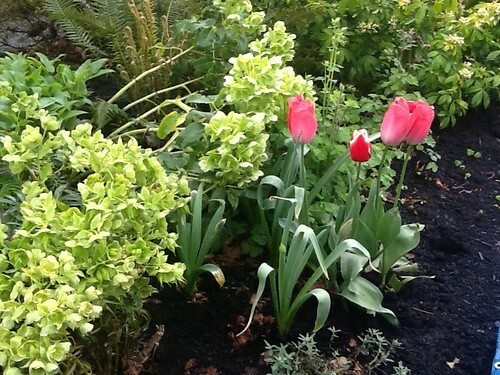 However my tulips are in full bloom and My other spring blooms are putting on a show, while late spring bloomers are beginning to show buds. 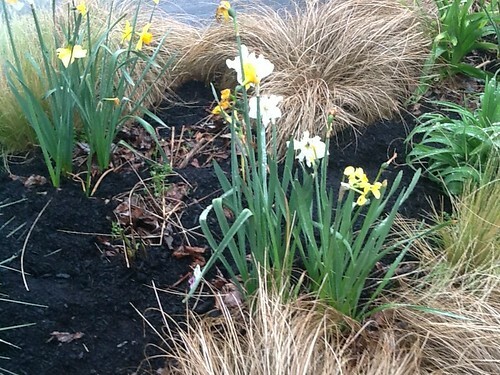 Take a look at some of what is blooming in my Zone 8 garden. 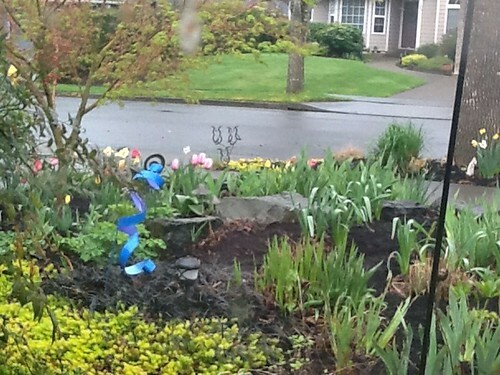 Tulips I put in last fall are beautiful and in full bloom. 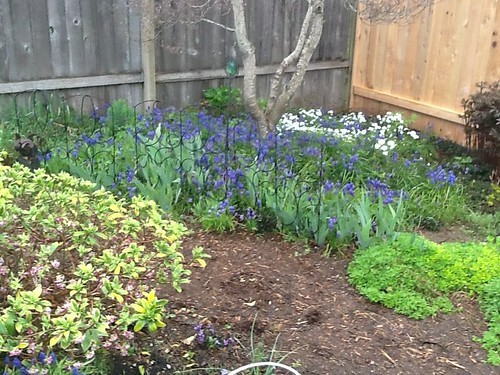 The Muscari and Candytuft and Daphne are also in full bloom. 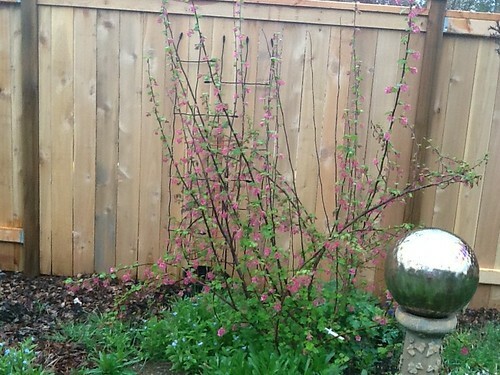 My Pink Flowering Currant is still pretty, but beginning to fade. 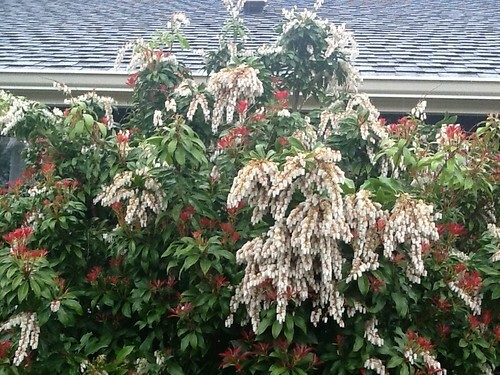 My Pieris is still going strong. 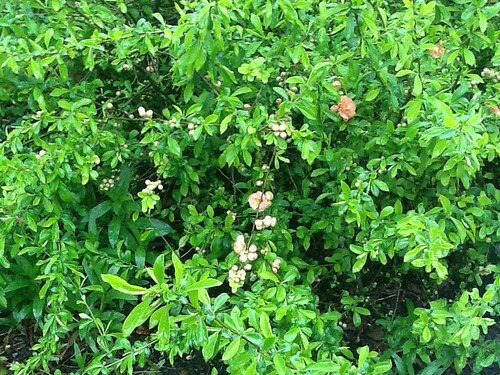 And my Apricot Flowering Quince is just beginning to bloom. 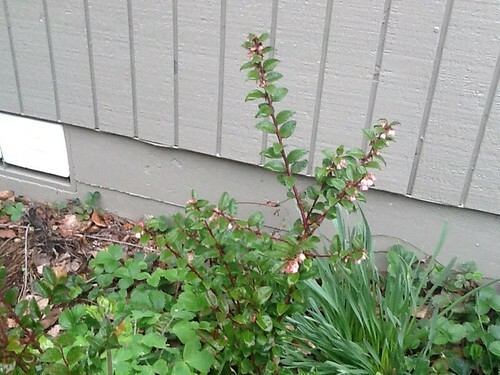 As is the Evergreen Huckleberry. I should have a few berries this year. 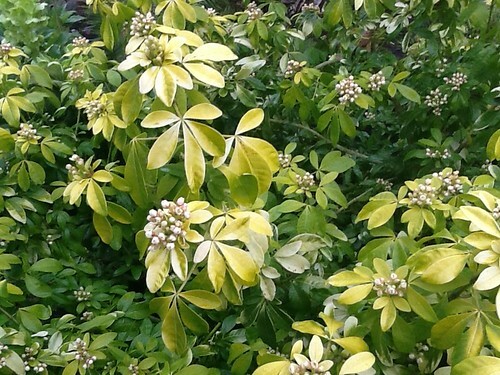 My Mock Orange is also beginning to flower. 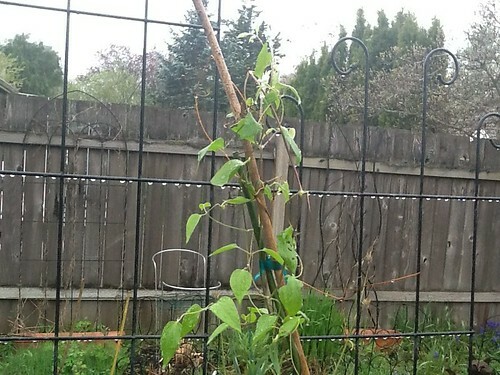 And one of my clematises is showing some buds. 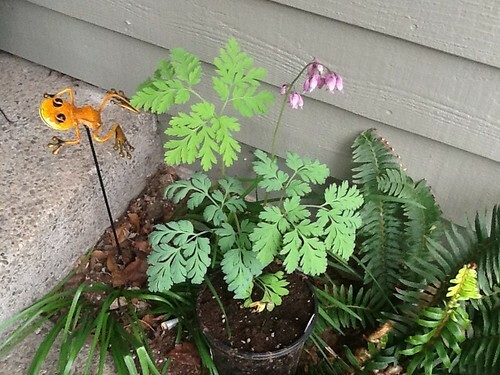 I’m thrilled with my brand new Purple Bleeding Heart. And a few other new additions to my garden. Well that is about it for Garden Bloggers Bloom Day. 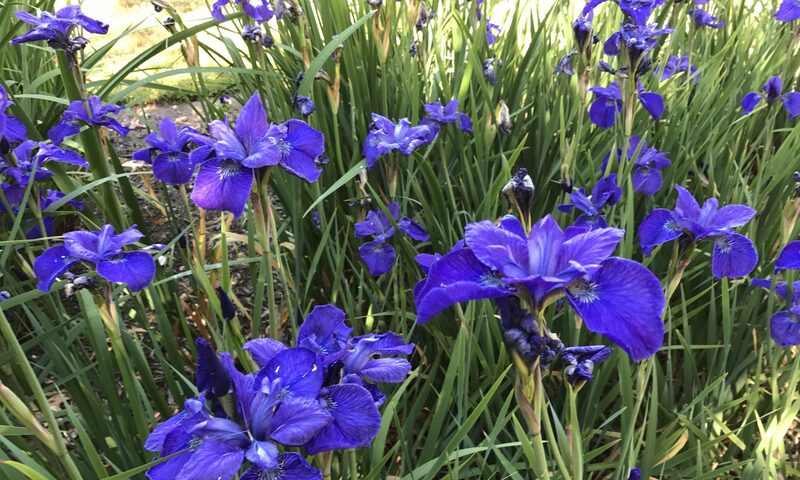 I hope you have enjoyed what I have blooming in my home garden. Thanks to May Dreams Gardens for hostessing GBBD.